There is no rush to get up this morning, since our arrival in Seattle is scheduled for 8:12PM this evening. I get up around 7:30AM and then go for breakfast a bit later. We make a quick stop in Klamath Falls at 9:15AM – Upper Klamath Lake still has some ice on the surface as the train winds its way around the shoreline. 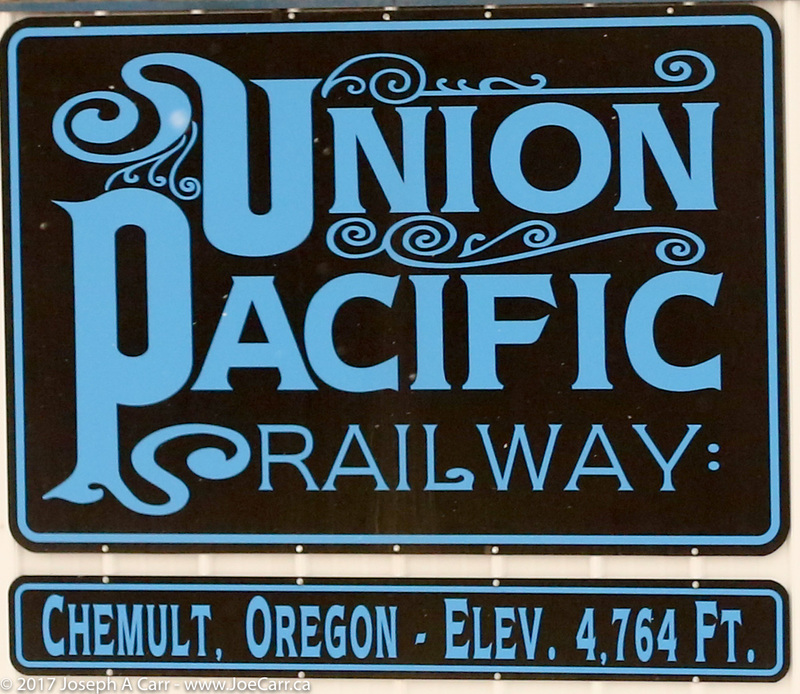 There is some light snow falling as we stop in Chemult, Oregon at 10:40AM – the same spot it was snowing on the way down. Needless to say, there is still quite a bit of snow on the ground in this high elevation area. The train stops to pick up some passengers and then starts the descent through the pine forest. As the Sun comes out, it’s beautiful country, but I’m glad to be inside with my slippers on. At 11:23AM we are at Cascade Summit, the highest point on the railroad as it crosses the Cascade Mountains at an elevation of 4,852 feet or 1,479 metres. There is lots of snow on the side of the tracks and on the trees, and it’s lightly snowing as we enter the summit tunnel. The snow gets deeper as we descend, and the train becomes very quiet as it goes through the deep snow. By my count, there are 18 tunnels in this stretch of track. After leaving Albany, the rain starts falling. There is lots of primary industry in this area, especially lumber mills. The train is running about a half hour late, not that it matters to me. We pass by Willamette Falls and Abernethy Island as the train runs down the shoreline of the Willamette River towards Portland. My sleeping car is pretty quiet after leaving Portland, so obviously a lot of people got off here. Portland has a big and busy rail yard. Union Pacific and Burlington Northern Santa Fe both operate out of this yard. 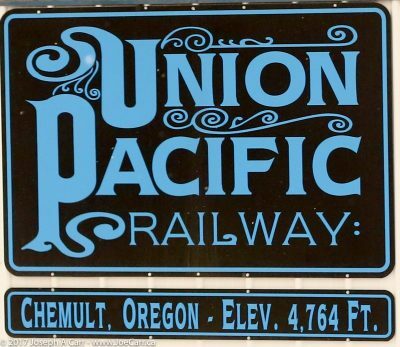 As we leave Portland, Oregon and cross the Columbia River into Vancouver, Washington, the conductor announces that we will be delayed because of a swing span being opened and having several freight trains waiting ahead of us. In the mean time, they are serving an early dinner starting at 5PM. I send a Facebook message with a virtual wave to my friends who live in Scappoose, across the Columbia River from where I am on the train north of Portland (in Washington State). After a short stop, the train engineer really barrels out of Tacoma station, obviously wanting to make time to the Seattle King Street station and the end of the line. We were about 35 minutes late earlier in the day, and I don’t think he gained or lost much time despite several delays mainly caused by freight traffic. It is sprinkling a bit of rain as I head out of the Seattle King Street train station after our arrival, walking the six blocks to my hotel, the Best Western at Pioneer Square. It is an older hotel, but well-run, and very convenient to the train station. This entry was posted in California, Oregon, Washington state and tagged snow, train. Bookmark the permalink.